Magic: the Gathering is a vast and complicated trading card game. 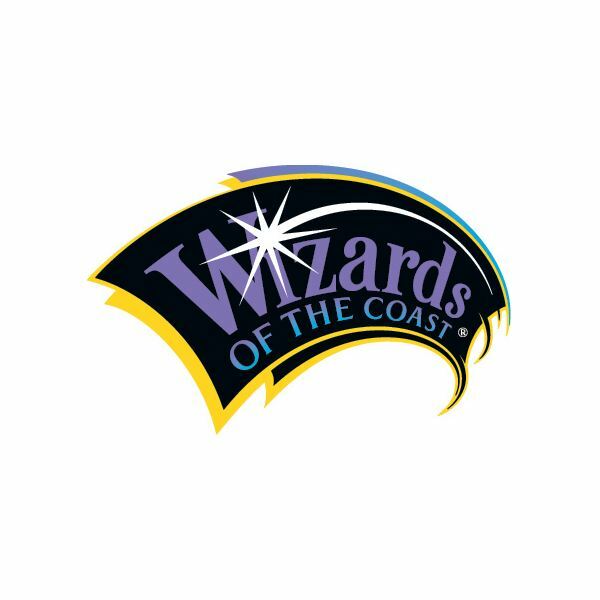 First introduced in 1993, it’s been growing rapidly ever since, reaching the status of most popular trading card game. 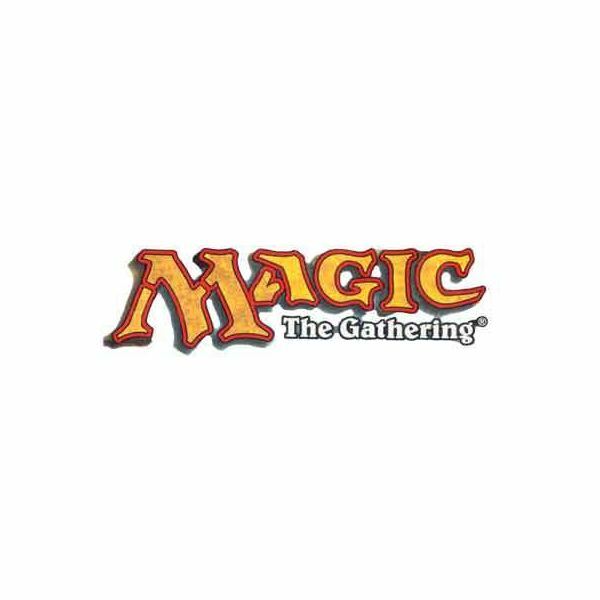 With several new sets of cards released every year, hundreds of thousands of cards in the back catalog to choose from, not to mention the astoundingly complex rulebook governing the interactions of each and every one of these cards, it can be incredibly daunting to even find a place to start. That’s what this guide aims to help with. Now is as good a time as ever to get into the game, buy your first preconstructed decks and booster packs, and jump into the fray. Just read on to get a crash course in the basics of the Magic: The Gathering Rules of Play. First, some basics. In Magic, there are a few different types of cards, and different aspects of each card, all which will be covered in the next sections. First, you need to know about colors. There are five colors in Magic, each with it’s own flavor, which is the general purpose the cards serve. The colors are Red, Blue, Black, White, and Green. Some cards can have multiple colors, and are known as Gold cards. Others have no color and can be cast with any color of mana; these are Colorless cards. The only cards that have no color and no casting cost are Lands, which are your mana sources. More on that later. For now, the first thing you need to play Magic the Gathering is the Anatomy of a Card. The most basic, and most important, part of the Magic the Gathering rules of play is the cards themselves. For this, you’ll want to refer to the image on the right. There are examples of three cards there; a Creature, a Planeswalker, and a Land. Other spell types, like Instand and Sorcery, look pretty much just like creatures and have the same layout. This is the name of the card. Card names are important beyond just flavor; in deck building, you can only have four cards with the same name in your deck. This is the Casting Cost of your card. If you look, the Planeswalker also has a casting cost, but the Land does not. Lands are the only cards that do not have casting costs; you simply play them for free. For the Raging Goblin, the casting cost is (R), which is one red mana. For Liliana Vess, the cost is (3)(B)(B), which is three colorless mana and two black mana. Colorless Mana can be paid with any color mana, or with specifically colorless mana. This is the card Type. The Raging Goblin is a Creature, Lilliana Vess is a Planeswalker, the land is a Land, and so on. Different card types have different rules of play, which will be discussed later. as the color is the rarity. The rarities are Common (black), Uncommon (silver), Rare (gold), and Mythic (red). This is your card’s text. This is the meat of the card. A spell’s effects, a creature’s abilities, and a planeswalker’s abilities are all presented here. You’ll notice the land has no text; this is because the only thing a land can do is tap for mana. Text in italics is either helper text (explaining a keyword ability) or flavor text (adding a bit of fun story to the cards.) Raging Goblin has both. This set of numbers is the power and toughness of a creature. Spells don’t have these numbers, and planeswalkers have different numbers in that corner. A creature’s power is how much damage it does when it hits, whereas it’s toughness is the amount of damage it can take before it dies. Planeswalkers have special abilities and rules, and are a relatively new addition to Magic. A planeswalker has a fixed amount of Loyalty (8) when it comes into play. A planeswalker also has three abilities, each that manipulates loyalty to use. The first ability for Liliana increases her loyalty by one, whereas her third decreases her loyalty by eight. All of these numbers differ among planeswalkers. This is the planeswalker’s Loyalty. This functions as their pool for using abilities as well as their hit points; when you are attacked, damage can be dealt to the planeswalker in place of you as a player. Damage then removes loyalty counters. This is the mana symbol for Green Mana, which is what forests tap for. Each land has a mana symbol and taps for that color of mana. Older lands will actually have text here saying "Tap: Add 1 green mana to your mana pool", but recent cards do not. So that’s the anatomy of a card, a basic for Magic the Gathering rules of play. Within the Magic the Gathering rules of play, there are many different types of cards, but they can be broken up into two main types: Spells and Permanents. Most permanents are spells themselves; the difference lies in duration. Permanents are put into play on the battlefield, and stay there until something happens to remove them. Spells are cast and resolve immediately, going to the graveyard. Lands. Land cards come in two flavors: basic and non-basic. There are five basic lands: Plains, Mountain, Forest, Swamp, and Island. Non-basic lands are much more varied. Lands in general tap for mana, with each basic land tapping for one of the five colors. Non-basic lands sometimes don’t tap for mana, but may have other effects, such as allowing you to sacrifice them to find a basic land. In nearly every format of Magic, you are limited to playing one land card per turn. Creatures. Creatures are the bread and butter of combat in Magic the Gathering. Creatures have a power and toughness in the lower right corner of the card, and usually have some ability. For many decks, creatures are where your damage comes from. Enchantments. Enchantments are spells that sit on the battlefield and have some effect on gameplay. They can do anything from damaging creatures that attack you to making your creatures larger to countering spells cast against you. Enchantments are typically quite powerful, but often have high costs to counter out their usage. Auras. Auras are enchantments that have the line "Enchant ____", where the blank is creature, land, or some other permanent type. These enchantments attach to that type of permanent and provide an effect to enhance or harm that permanent. Anything is possible on an aura, from adding abilities to increasing power and toughness to turning lands into creatures. Planeswalkers. These special permanents are new to Magic the Gathering, and act as a sort of secondary player or general for your deck. You cast a planeswalker like a creature, but they don’t interact like creatures do. Instead they have a number of loyalty counters and a set of abilities. The abilities affect the loyalty counters, either by increasing or decreasing them. Loyalty counters also function as hit points; when an opponent attacks you they can choose to do damage to the planeswalker instead. If a planeswalker’s loyalty reaches 0, it is placed into the graveyard. Artifacts. 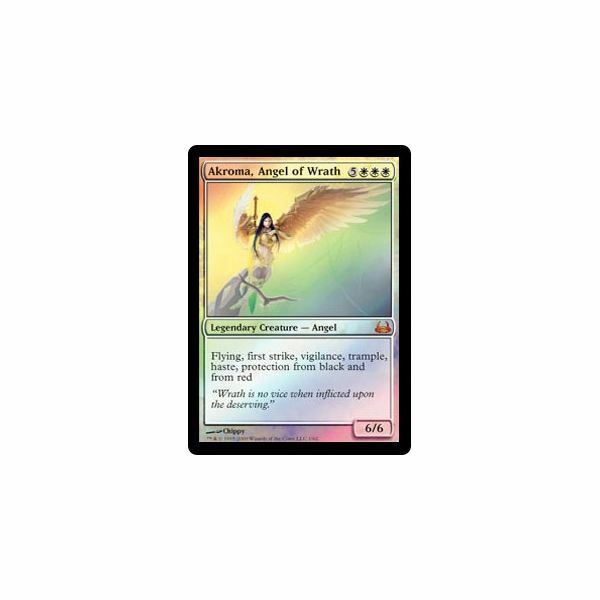 Artifacts are usually colorless permanents that signify machines or special items. Usually they will have an ability you can activate for some powerful effect. Some artifacts are also creatures, fittingly known as Artifact Creatures. Equipment. Equipment are special artifact cards that have an equip cost, usually a few colorless mana. An equipment on it’s own has no effect, but when you pay it’s equip cost you can attach it to a creature, giving that creature it’s effect. Much like Auras, equipment have the added benefit of not going to the graveyard if the creature dies. Spells include only two types of cards. There used to be four, but two of them were merged with one of the existing types, because they essentially served the same purpose. Sorceries. These spells are the slower of the two. Sorceries can only be cast during one of your main phases, not during combat or during another player’s turn. Instants. These are the faster of the two types of spells. You can cast an instant at any time, even on another player’s turn. There used to be two other spell types, Mana Source and Interrupt, but both are now instants. To play Magic the Gathering is to learn more than just the types of cards, however. The phases of a turn are just as important, so read on to explore that aspect of the Magic the Gathering rules of play. Too basic for you? Check out these white deck ideas. minimum of 40. At the start of the game, each player draws seven cards. Seven is the maximum hand size, unless some card changes that. In general, players will each draw one card per turn. Some formats allow you to have no maximum, but usually no more than 100 is feasible in a working deck. Untap. At the start of every turn, you untap all of your cards in play, unless some effect says they cannot untap. Lands are tapped for mana, so untapping them is necessary. Creatures tap to attack, so untapping them is also necessary. Many abilities require the permanent to tap to activate them, and so on. Upkeep. This is where a lot of cost effects happen. Many cards will say "during your upkeep, do this" or "at the beginning of your upkeep, pay X." This step is where you perform these actions, or accept the consequences of not doing so. Draw. This is where you draw your card for the turn. A few cards may allow you to draw two or more, but the standard is one. First Main Phase. Main Phases are the only times you can play creatures, cast sorceries, equip artifacts, or use planeswalker abilities. Combat. Combat is divided into declaring attackers, declaring blockers, and assigning damage. Only instants and various abilities can be used in this phase; otherwise it’s just straight creature damage. Creatures tap to attack, unless they have Vigilance, and they can’t attack the turn they came into play unless they have Haste. Any number of creatures can block one attacker, and the attacker assigns damage to them in the order he chooses. Unblocked attackers deal damage directly to the player, or to a planeswalker if the attacker so chooses. Second Main Phase. This is another Main Phase happening after combat, where you can re-equip creatures, play other creatures, play more sorceries, and in general recover from combat. End Step. This is the general end of turn resolution step. Some cards say "until end of turn" for an effect, so that effect ends here. Other cards say "at the end of turn, do this." This is when that happens. If a player has more than seven cards in hand, and no effect says that’s legal, they discard down to seven. Not interested in something so basic? How about these blue deck ideas? Or read on, and learn about the zones of play. Zones are the areas of the game where cards can be. There are a few different zones to know, and each of them is covered here. Library. This is your deck, all 60 cards when the game starts. Each turn you draw one card. Any time an effect tells you to draw a card, you draw from your library. Graveyard. This is where dead creatures, destroyed permanents, discarded cards, and other used up cards go. Battlefield. This is where your permanents reside when they’re in play. Everything; lands, creatures, enchantments, artifacts, are all in play on the battlefield. Hand. These are the cards in your hand, obviously. You play cards from your hand, you draw cards to your hand, you discard from your hand, and so on. Exile. This is the zone that’s often referred to as "removed from game." Many old cards will have text that reads "blank is removed from the game." or some variation. The Stack. This is the all-purpose order of ‘things happening.’ When a spell is cast or an ability is used, it’s put on the stack. Any move in response to that move is put on top of it in the stack, and so on, until all players are satisfied. The stack then resolves from the top down. For example: player 1 casts a creature, so that creature spell goes on the stack. Player 2 casts a counterspell on that creature spell, so that counter goes on the stack. The counterspell resolves first, and then counters the creature spell, keeping it from being played. Keep in mind though, this sounds a lot more complicated than it is, and is just a way for effects to be played in response to other effects. 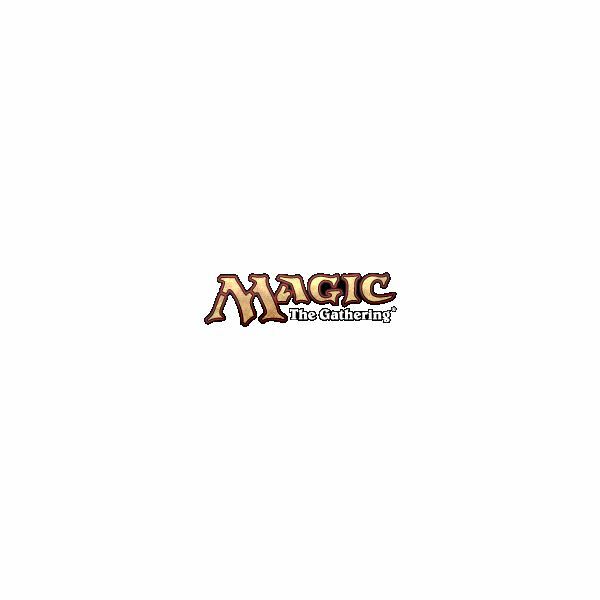 Read on to find out more about learning to play Magic the Gathering. 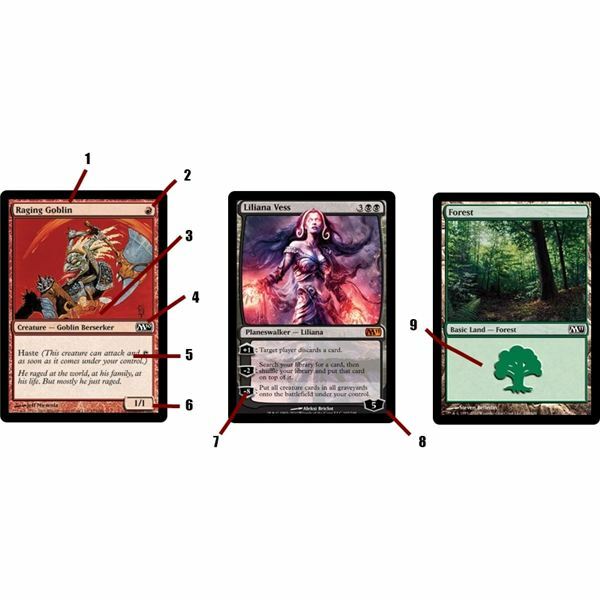 In the next section of this beginner’s guide to Magic the Gathering Rules of Play, I cover basic deck construction and common game types. If you’re new to Magic the Gathering, or just want to brush up on the basics, look no further than this Beginner’s guide. We’ll cover everything from casting cost to the battlefield, explaining the basics of the game. A perfect way to learn to play Magic the Gathering.